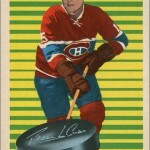 Longtime readers of this blog — and of my quest to complete a 1963-64 Parkhurst Hockey set — might have thought I already had this card. And they’d be right. 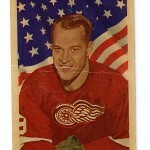 The very first ’63-64 Parkie I bought, way back in 2008, was a Gordie Howe card in poor condition. I told myself that I would upgrade the Howe after I got all of the other cards. 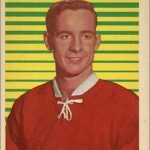 But then I recently came across this card you see here. It has a few minor flaws — the most noticeable being the small bends on the lower corners. The card actually looks better in person — scanning something at two times its actual size makes everything look worse. That “wrinkle” along the top is more noticeable in the scan than in real life. 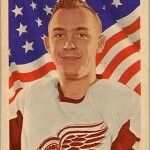 And honestly, I did not notice that tiny crease by the Stanley Cup until I scanned this. Small flaws aside, this is nicer than many of the other cards in my set build. So, this card really does not move me “one step closer” to finishing this set, but I still feel that it is an accomplishment because it is an upgrade of the most expensive single. 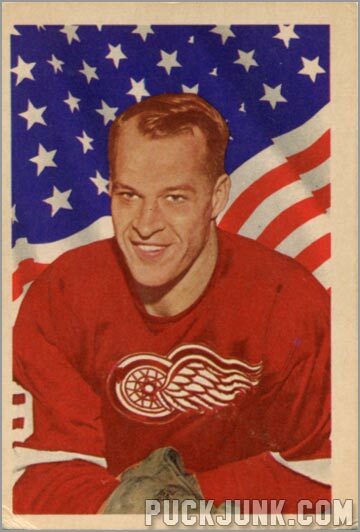 Hey, I have a 1963-64 Gordon Howe #55 that has DPR-1 on the back of it and can’t seem to find out what that means, can you help me with that. 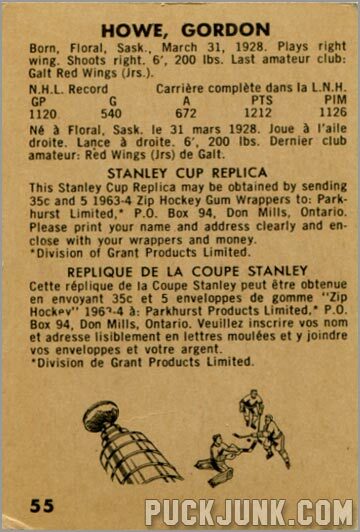 The card is in excellent condition and looks exactly like the one you show here except their is a NHLPA Logo, the NHL Logo Parkhurst Logo on back at the bottom of the card. Im trying to find out what it’s worth. Thanks for your help. 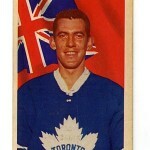 The card you have is a reprint of the 1963-64 card. Upper Deck put reprints of older cards in their 1992-93 and 1993-94 Parkhurst sets. 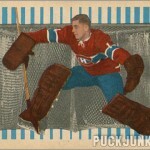 However, the card you have DPR-1 was found only one per case, so it is valued at around $6 to $15. If you are looking to trade it, let me know, as I am trying to build this reprint set.